Variety Models: 4 Models meet your child’s different interests. Six Legs Bug Robot, Knight Robot, Tank Robot and Tank Robot. Function: Go forward/backward, turn left/right, Can use blocks to build 4 different styles of robot. Total 237 pcs of blocks. 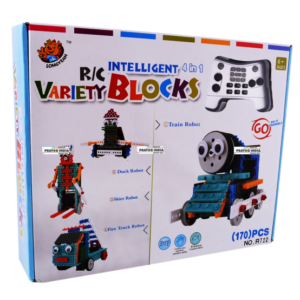 Variety Models: 4 Models meet your child’s different interests. Train Robot, Duck Robot, Skier Robot and Fire Truck Robot. Function: Go forward/backward, turn left/right, Can use blocks to build 4 different styles of robot. Total 170 pcs of blocks. Variety Models: 4 Models meet your child’s different interests. Excavator Robot, Motorcycle Robot, Engineering Truck Robot and Trailer Robot. 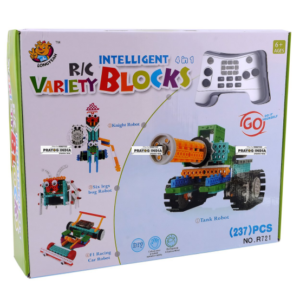 Function: Go forward/backward, turn left/right, Can use blocks to build 4 different styles of robot. Total 117 pcs of blocks. Great learning kit for 1366 of experiments – easy to build. 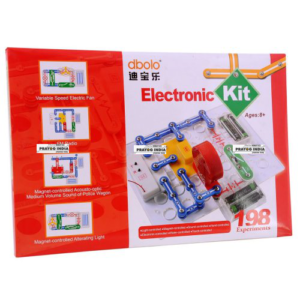 Much more than just a toy: The Plastic electronics kit contains 66 parts with which your children can experiment multiple choices. This is just a great learning kit for hundreds of experiments – easy to build! It’s much more than just a toy. 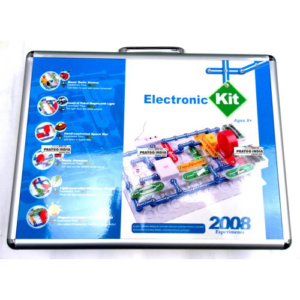 The Playtastic electronics kit contains 30 parts with which your children can experiment multiple choices. Start from some simple electronic light and switch project. This is just a great learning kit for hundreds of experiments – easy to build! It’s much more than just a toy. 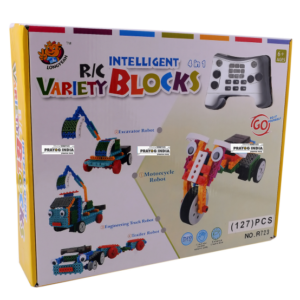 The Playtastic electronics kit contains 76 parts with which your children can experiment multiple choices. Various building targets make challenges more interesting. Great learning kit for 3198 of experiments – easy to build. 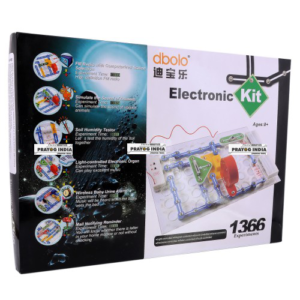 Much more than just a toy: The Plastic electronics kit contains 48 parts with which your children can experiment multiple choices. 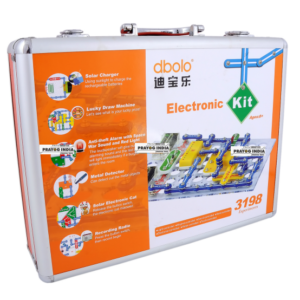 This is the ideal kit to get your child on the road to understanding electricity. Everything just snaps together like building blocks, and there’s no need for screwdrivers, soldering irons, electrical tape or testers.